Moody’s has placed MTN on review for downgrade due to the uncertainty of the mobile telecommunications company’s credit profile following developments in its Nigerian business. Moody’s issued the rating action on Thursday. MTN Group’s corporate family rating is currently at Ba1 (below investment grade). 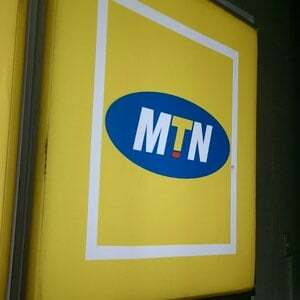 The ratings agency explained that the rating action follows two announcements from MTN Group over the past few days related to MTN Nigeria. Bloomberg reported that the Nigerian Central Bank (NCB) ordered a return of $8.1bn which was allegedly taken out illegally from the country. A few days later MTN announced that the Nigerian Attorney General (NAG) had given notice to recover $2bn in taxes related to imports of foreign equipment and payments to foreign suppliers over the past 10 years. MTN Nigeria said it had paid back $700m over the period. “MTN's ratings have been placed on review for downgrade to reflect the uncertainty around the potential implications of the recent CBN and NAG announcements on MTN's credit profile,” the report from Moody’s read. “MTN's management has indicated that both allegations are without merit and will be engaging with the relevant authorities to defend its position and to get more clarity on some of the requests being made. The ratings agency said it will monitor the developments and will consider the credit implications of events. The review will focus on MTN’s liquidity profile, credit metrics and implications on the group especially if it is a drawn out process. Moody’s noted that in the absence of the claims, MTN does have “sufficient liquidity” to repay loans maturing over the next 12 to 18 months. MTN is yet to respond to Fin24's queries.